DEEP TISSUE THERAPY Deep tissue massage is a type of massage therapy that focuses on realigning deeper layers of muscles and connective tissue. It is especially helpful for chronic aches and pains and contracted areas such as stiff neck and upper back, low back pain, leg muscle tightness, and sore shoulders. Some of the same strokes are used as classic massage therapy, but the movement is slower and the pressure is deeper and concentrated on areas of tension and pain in order to reach the sub-layer of muscles and the fascia (the connective tissue surrounding muscles). SPORT MASSAGE THERAPY For athletes who train continuously, the goal is to enhance endurance, lessen the chance of injury and shorten the time needed to recover from an event. Sports Massage may utilize a variety of techniques such as classical Swedish Massage, trigger point therapy, and hydrotherapy. Prior to an athletic event, Sports Massage may be used with stretching in order to help athletes to loosen, warm and prepare their muscles so that their performance and endurance might be enhanced. Following an athletic event, Sports Massage may be used to relieve pain, prevent stiffness, and return the muscles back to their normal state. Sports Massage may also be used for injury rehabilitation. THERAPEUTIC TOUCH Therapeutic touch is derived from an ancient technique called laying-on of hands. 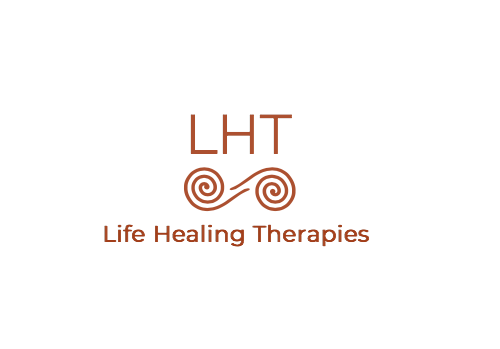 It is based on the premise that it is the healing force of the therapist that affects the patient's recovery; healing is promoted when the body's energies are in balance. In this approach the therapist passes their hands over a person's body in order to feel the energy imbalances. The practitioner moves his or her hands over the patient's body, specifically on the affected area. The practice is based on the belief that living beings have an energy field or aura which extends beyond the surface of the body that can be manipulated by the therapist. LOMI LOMI Lomi Lomi massage technique is one of the oldest and most profound forms of massage. It is a unique healing massage derived from the ancient Polynesians and more specifically the master healers of Hawaii. To understand what is Hawaiian Lomi Lomi, is to have an understanding of the Hawaiian philosophy called Huna. A fundamental assumption of Huna is that everything seeks harmony and love. Illness is a state of tension, which leads to resistance which blocks energy movement. Hawaiian Lomi Lomi helps release this and therefore facilitates the road to healing. On the physical level, through Lomi Lomi stress and tension are relieved, blood and lymph flow assisted and the elimination of wastes and toxins stimulated. STRUCTURAL ALIGNMENT Structural alignment is used to treat tissue and enhance structure and health within them. It is considered to be a bodywork technique that improves balance and flexibility through deep pressure of rigid muscles and joints; intended to relieve stress and improve energy. The use of fingers, knuckles, and elbows to work with the fascia, is predominant. The goal is to gradually lengthen and reposition the muscles. Over a series of sessions release occurs in specific areas in the body in addition to realigning the body's fascia. MYOTHERAPY Known also as Neuromuscular Therapy it applies concentrated finger pressure to "trigger points" (painful irritated areas in muscles) to break cycles of spasm and pain. It appears that most muscular pains have a trigger point that causes the muscle to spasms. Myotherapy involves placing pressure on that trigger point so that the muscle can relax and the pain can be lessened. Pressure is generally applied with fingers, knuckles, and elbows. The basic idea is that the trigger point are not always where the patient feels the pain. The trigger point could be several inches away from the place where they feel the pain. By applying pressure to the actual point of the source, the practitioner in turn may be able to control the pain experienced.